New York-based artist Manuela Viera-Gallo was born in Rome to politically-exiled Chilean parents, and later grew up herself in Chile. Her point of view has, since then, been strongly shaped by the social and political violence that has affected the history of most Latin American countries. 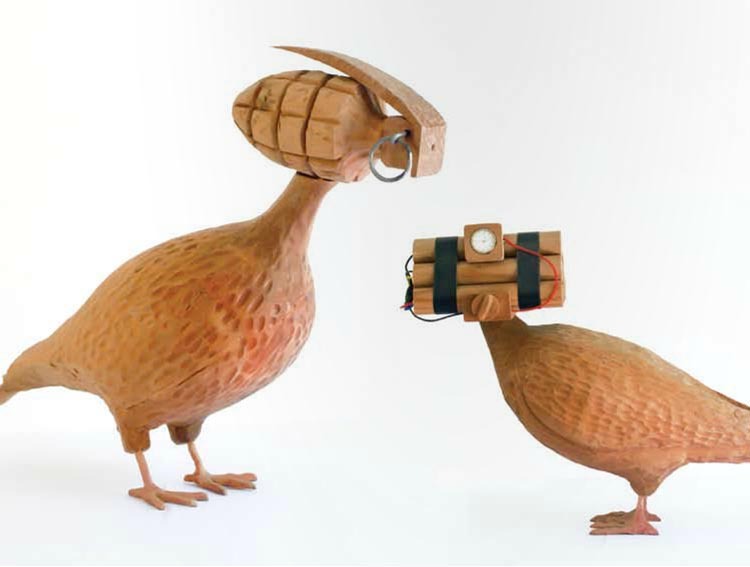 One of her recent works titled Pentagon, consists of a “basket” of wooden pigeons with their heads replaced by explosives and megaphones standing on a pentagonal wooden coup. 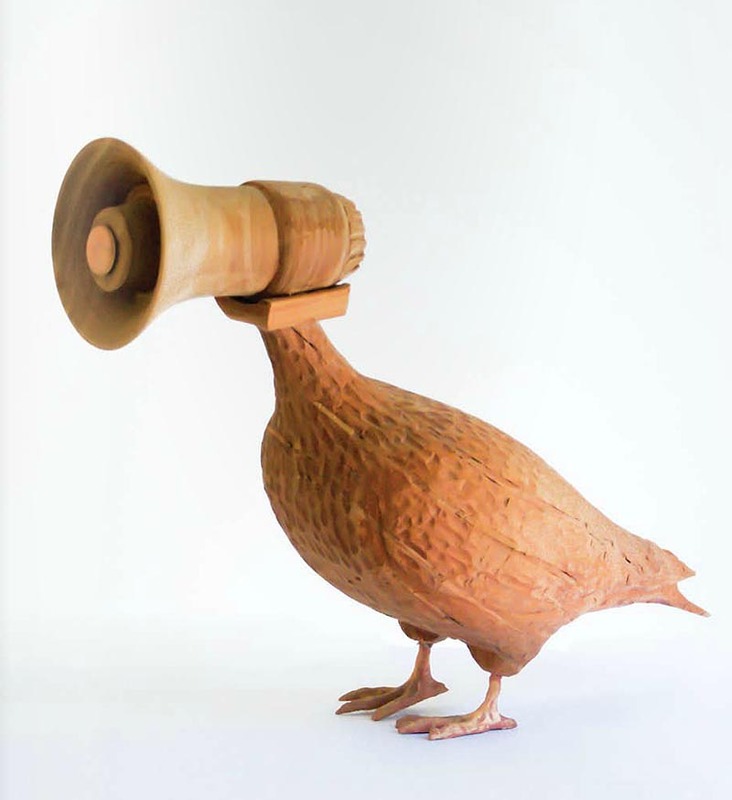 Viera-Gallo’s piece mocks the U.S. Department of Defense. The birds are characters in evident confusion, realizing military operations, press conferences and damage control before an imminent, but unknown threat. It is a reflex of disconnection and perplexity before the chaos of a highly complex defense system, but which is dishonest and in a constant crisis. The are like blind birds defending a condemned nest. I like the names of some of the individual pigeons, such as Kamikaze Pigeon and UN Peace. This post goes out to Emma, a true fan of pigeons.